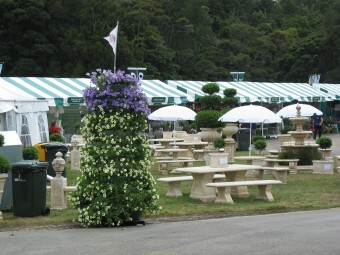 The GARSY® vertical garden product launch in New Zealand will take place at Ellerslie Flower Show, 26-30 November 2003. 9 multiple height ‘clusters’ of GARSY® vertical garden towers are planted up with quality flower seedlings from Lyndale Nurseries in Auckland. Look for the vertical garden systems in all their towering glory at the entrances to the various marquees.